When most people hear root canal, all they can think of is pain. The stories are legendary. Tooth pain can affect your everyday life, including preventing you from enjoying certain foods. We are here to help you learn how root canals can resolve your pain- not cuase pain. We are here to help you understand root canals are less painful and safer than ever before. Root canal treatment is one of the most common procedure performed in the US. In fact, more than 15 million root canals are performed each year. A root canal can help save a natural tooth- preventing the need for a bridge or implant. 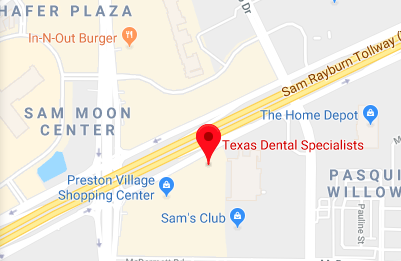 When you come in for your first visit at Texas Dental Specialists, Dr. Cassidy will perform a comprehensive exam to diagnose any current pain or pulpal injury. During the exam, Dr. Cassidy will determine if the tooth is a candidate for root canal therapy. If the tooth requires endodontic therapy, we will schedule an appointment with Dr. Blanca Lemus. Dr. Cassidy may prescribe an antibiotic to treat the current infection. Dr. Lemus will arrive on your appointed day, and use a non- surgicl approach to clean the root canals. The infected or injured roots are cleaned, removed and sealed. You will follow up your visit by covering the tooth with a porcelain crown. Dr. Cassidy will perform the final crown restoration.